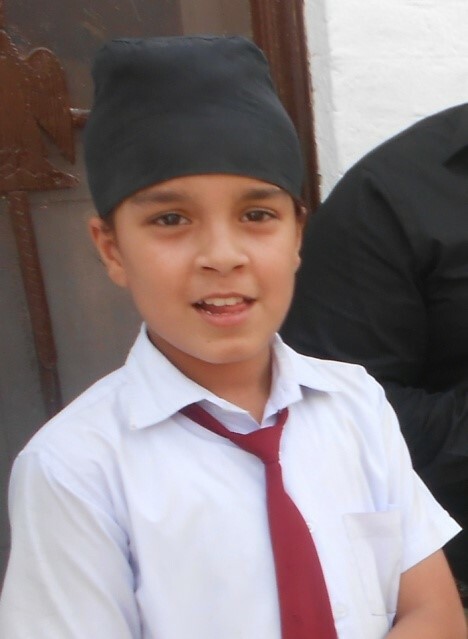 Karan Veer Singh, student of 7th Grade in St. Anthony Boys high school Sialkot, is a member of peace club. He shares that by learning from the curriculum distributed by Caritas Pakistan team, I have been motivated to spread the peace amongst my fellow- students as together we can bring a change. As a member of peace club we try to solve the conflicts taking place in our school. Our teachers help us to participate in the activities and exposure visits arranged for us. Me and my school Friends enthusiastically participated in the Peace activity held in our school when we had to paint our hands and print on the wall, while we were printing on walls, we promised in our hearts to be a true peace builders.